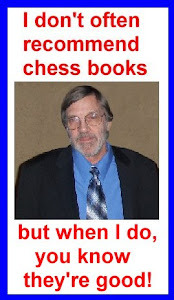 What do you think of Bobby Fischer? Despicable lout? Schizophrenic? A tortured soul? A man to be pitied? Or, like many of those who knew him best, do you think he was a sensitive, caring person? Whatever your opinion of Fischer is, there is no question that he was one intriguing fellow. Frank Brady knew Fischer quite well and the overall tone of this book is one that puts Fischer in the best possible light and it is extremely well-researched and well-written. I don’t know that it will change anyone’s mind about the man, but it at least gives you an understanding of where Fischer “came from” and gives you some insights as to what made him the kind of person he was. No games, just 403 pages detailing Fischer’s life. HIGHLY RECOMMENDED.